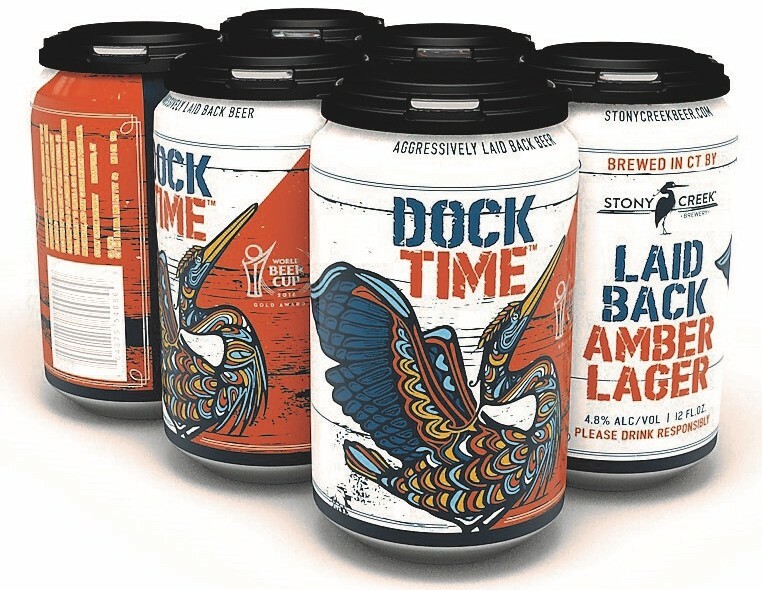 (BRANFORD, CT) – Stony Creek Brewery’s Dock Time Laid Back Amber Lager is now available in six packs of 12 oz. cans throughout New England. Dock Time claimed a gold medal award in the Vienna Lager beer style category at the 2016 World Beer Cup, as well as a Bronze medal at the 2017 Great American Beer Festival, making it one of the most decorated beers in all of New England. Rich yet remarkably laid back, Dock Time is reminiscent of the classic amber lagers found south of the border. The smooth malt body and deep amber color are balanced perfectly by subtle herbal and citrus hop notes. Stony Creek Brewery is a microbrewery located in Branford, Connecticut that specializes in beers that are a fusion of clean, bold and aggressive west coast flavors and east coast balance and drinkability. They call this “Aggressively Laid-Back Beer”. For more information on Stony Creek Brewery visit them on Facebook at https://www.facebook.com/ StonyCreekBeer/ or visit the Stony Creek Brewery website at www.stonycreekbeer.com.